Our new Portchester aluminium security shutter range offers the ideal balance between peace of mind and elegance. 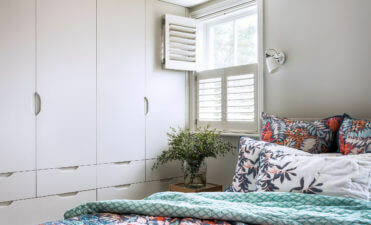 Coming complete with lock and key and made from robust aluminium, these shutters add an additional layer of protection against intruders and thieves whilst maintaining an appearance much the same as our hardwood shutter ranges. Complete with lock and key the shutters can be operated as usual, with a hidden tilt rod system for adjusting the louvres, but with the panels firmly locked in place when required. 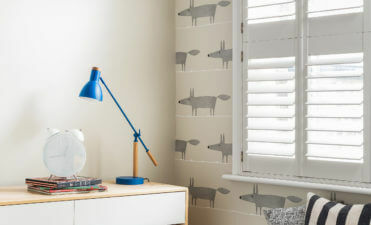 Acting as an extra layer of security homeowners can feel more comfortable leaving their windows open at night or generally protecting more vulnerable windows and areas of the home. 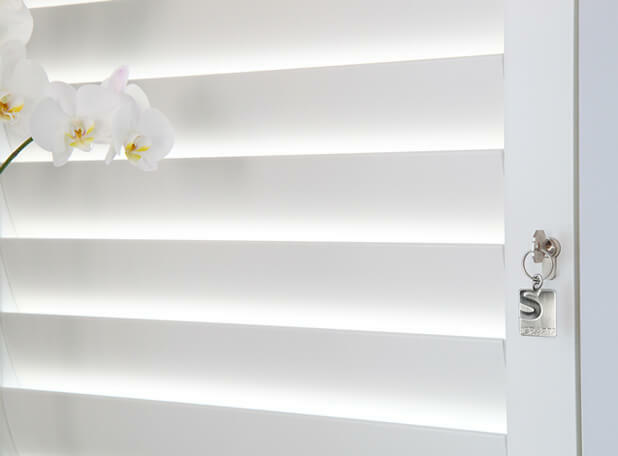 If you are looking for a secure window dressing, without the need for a more commercial look such as security grilles, bars or industrial style roller shutters, then this is the perfect option for your home. 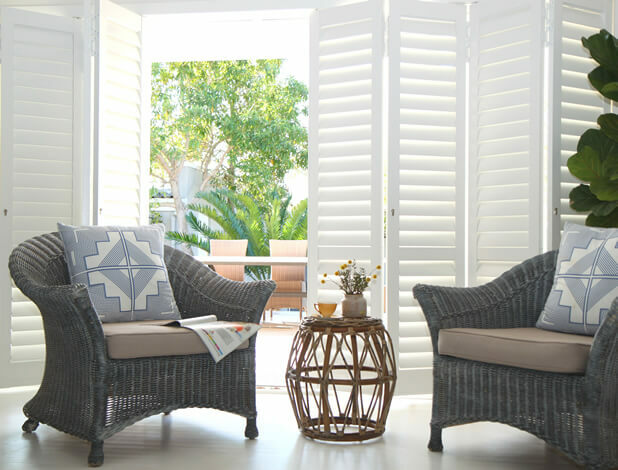 Our Portchester shutters can be seamlessly designed around existing plantation shutters, or rooms that will be having non security wooden shutters installed, so that they do not stand out or compromise the look of your property. 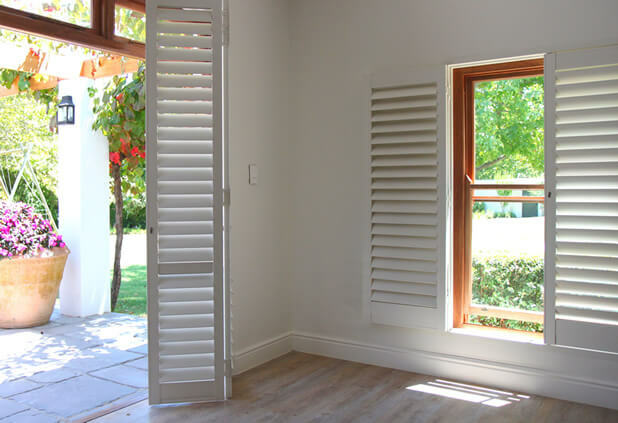 Our shutters are robust, durable and extremely tough. Manufactured in South Africa, a part of the world where home security is very important and included patented Italian locks with a double turn key. The lock system operates in a way which secures locking bolts at the top and bottom of the shutters and features an intruder resistant top and bottom guide system which prevents the shutters being lifted out of the channels. 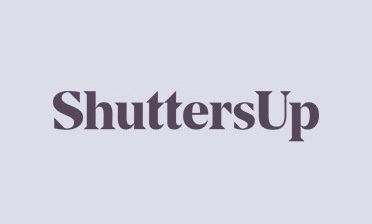 You can select between a master key or multiple keys per order and as an optional feature can create a locking system accessible from both sites of the shutter. 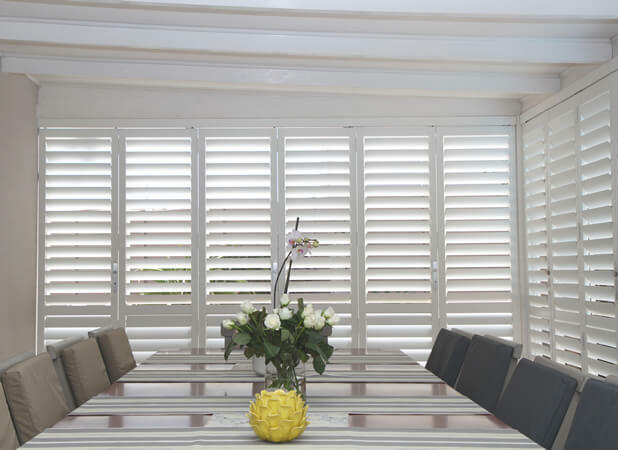 The Portchester shutters can be used indoors and outdoors as the aluminium build is corrosion resistant and hard wearing to withstand year round weather, making it perfect for patio areas, conservatory doors and outbuilding doors and windows. 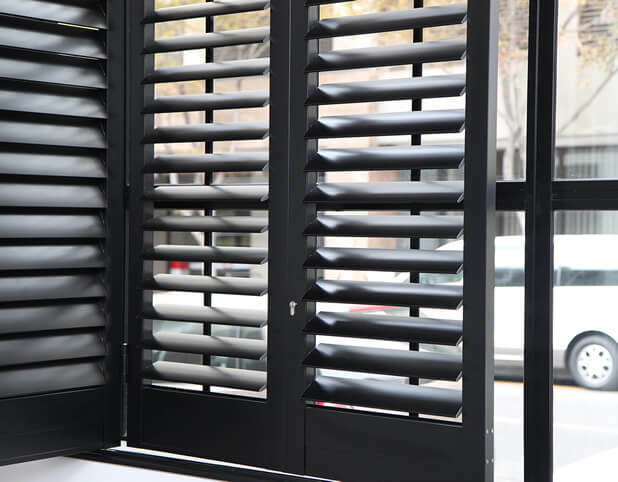 Our architectural grade aluminium shutters can be powder coated in 3 standard colours (satin white, charcoal and light grey) as well as optional custom colours. 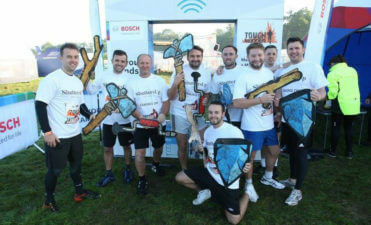 There is a durable long term finish with no colour fading, they are very easy to clean and have a hard wearing finish which is resistant to scratching and bumps. 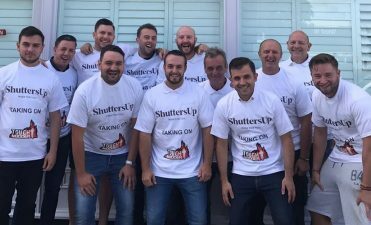 Portchester is available with a 5-year warranty as standard (3-year for external shutters) and you can find more information about them on our Portchester Shutters page or by contacting one of our friendly shutter experts on our contact page!